Last year I made some little bow-ties for my friend’s baby and they turned out super cute. I used the tutorial from here and now just decided to use the same tutorial but tweak it into making them as baby/little girl headbands. Her tutorial is great with step-by-step photos and instructions on how to make the bows. So before adding on the neckband, stop! Come back here and I’ll show you how to turn it into a delicious headband! 2. 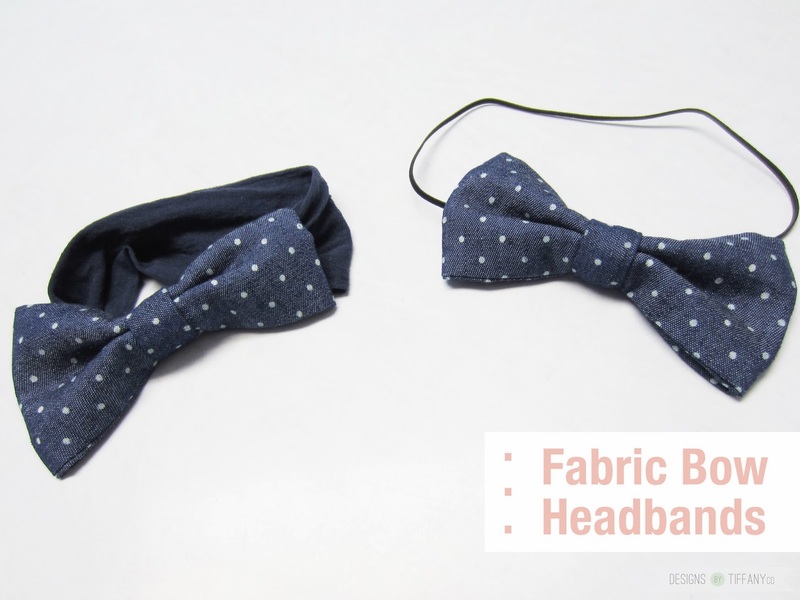 Before adding on the middle piece, scrunch the bow together and hot glue the elastic band on. 3. Add on the middle piece over the elastic and bow and hand sew it together. 4. Enjoy a big, perfect bow!